Takarabune is a creative dance company of Awa Odori, one of the most well-known Japanese traditional dances with a 400 years of history. They push the limits of this venerable traditional art: their signature dance style is so aggressive and vigorous that it has been characterized as ‘dance beyond Awa Odori’. 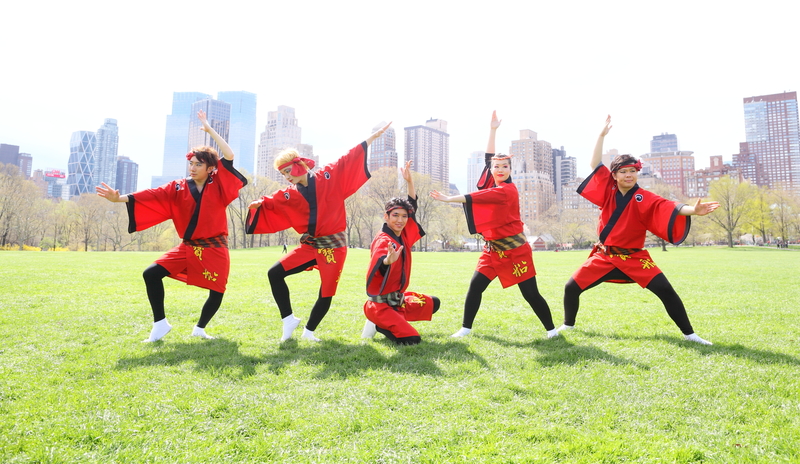 Their performance at a number of Awa Odori events held in Tokyo has generated growing interest among a variety of media, and the group has gained a reputation as the hottest Awa Odori group (ren) in Japan. Takarabune was founded by Akira Yonezawa from Tokushima, the birthplace of Awa Odori. The members are mostly in their teens and twenties, the majority of whom have more than 10 years of experience. Its skilled dance and music and the dynamic performance captivate the audience. Awa Odori performances have dancers and musical accompanists. In Takarabune,all members are dual-role experts trained both in dancing and musical accompaniment,unlike typical Awa Odori groups where members are divided into dancers and musical accompanists. 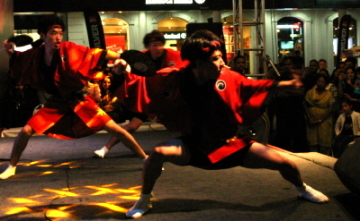 This allows Takarabune to build a uniquely dynamic program on the stage. Witnessing one performance will only give you a glimpse of what Takarabune has to offer. Takarabune has so much more! 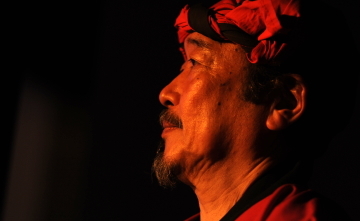 In October 2009, Takarabune was the first in the Awa Odori community to run a one-man live show at a club. The show, as well as two subsequent shows in 2010, were enthusiastically received with all the tickets sold out on all days. Takarabune’s show is full of surprises, including not only dances but also talks, music and theatrical plays. And it will be an experience that you will never forget. Takarabune fights to push the limits of Awa Odori. 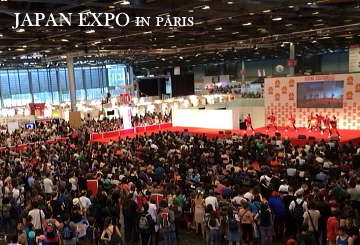 We look forward to hearing from you, from all over the world.